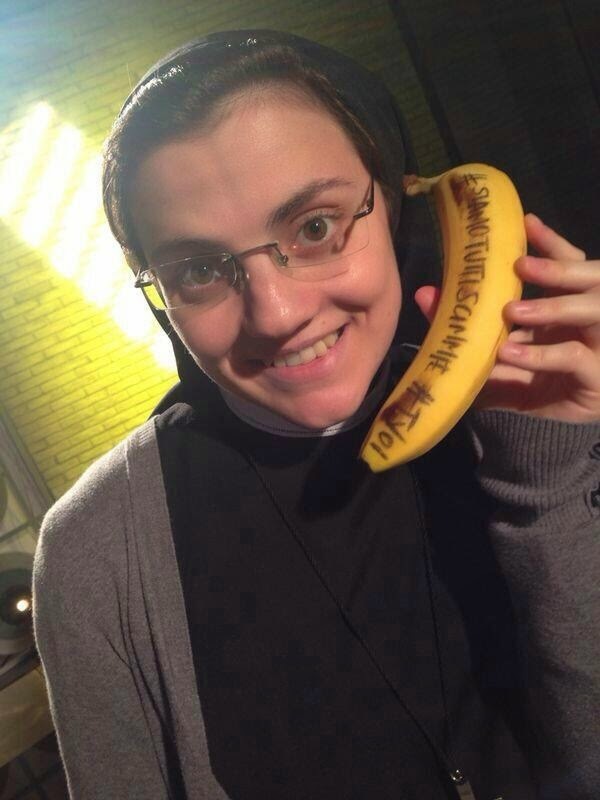 Suor Cristina is a monkey! We are confused, we thought she was against racism. 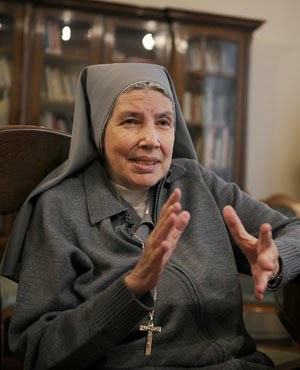 What she is saying is that Dani Alves is a monkey, she is a monkey, Francis is a monkey, all humans are monkeys! 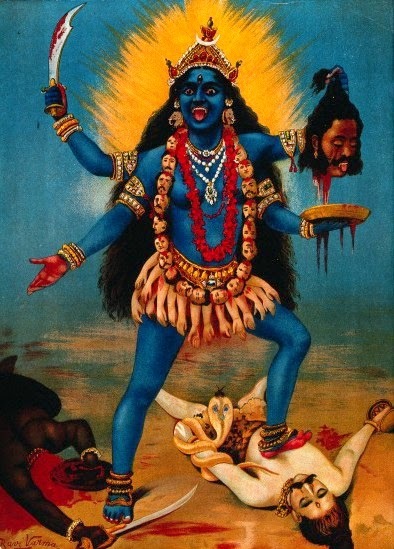 So in addition to singing lewd songs, gyrating her body to music, giving the sign of the devil's horns, making the sign of Indian goddess Kali, we now have her denying God's creation of the human race! For if one believes we are monkeys, then it is logical the same person believes in Darwinian evolution. 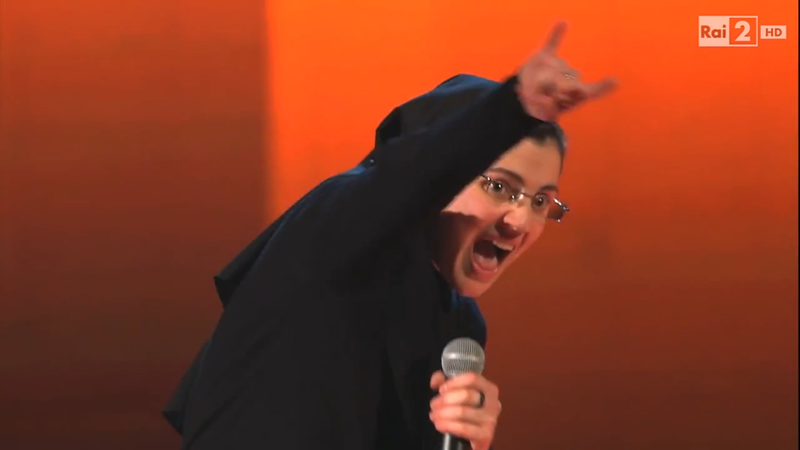 We wonder if we will be so lucky to see Suor Cristina evolve into another species while singing on The Voice? It is amazing what passes for a catholic apologist these days. It is beyond appalling! Jim Smith of NoSacredCows has kindly allowed us to post another video on the blog. This one concerns the newly sainted John Paul II, Jimmy Akin (senior apologist at Catholic Answers), and the mark of Shiva. The excuses the majority of catholic apologists make today for Francis are just as ridiculous as the ones made in the past for John Paul II. they will scourge you in their synagogues." Yet another article from the Israeli / Talmudic media on how great the double canonizations are for their Christ-denying religion. Anshel Pfeffer writing, Double canonization is a historic victory for the Jewish people, for Haaretz, let a few cats out of the bag but not all. We hope later this week to post about this Christ-denying group and their place of honor at the canonizations of John XXIII & John Paul II. Never has a religion so comprehensively changed its attitude to what was once seen as its worst enemy as the Roman Catholic Church did under popes John XXIII and John Paul II. The business of manufacturing new saints going on today in Rome is mysterious to non-Catholics, even risible for atheists. The canonization of Angello Giuseppe Roncalli and Karol Jozef Woytyla, better known as popes John XXIII and John Paul II, with all its attendant process of discovering modern-day miracles, recognizing their elevated position in heaven and subsequent veneration, represent to many of us much of what is fake and artificial about modern religion. Even many Catholics tend to look at this from a cynical perspective; seasoned Vatican-observers noting how Pope Francis has pulled off a canny "balancing act" canonizing in one go a liberal pope (J23) with a conservative one (JP2). And there are the critics who accuse the new pope of wasting too much time on heavenly pageantry rather than dealing with the very real problems still facing a church struggling to acclimatize itself to the 21st century. All these observations are valid but essentially meaningless. Creating myths of holiness and sainthood is what established religions do and the Roman Catholic Church, which even in its diminished state is still the biggest and most influential of the lot with all the historical baggage it carries, is in desperate need of new saints. John Paul II was one of a small group of individuals who influenced the last decades of the previous century and the end of the Cold War; Francis has the potential to have a similar effect on the next period in history. Over half a million people gathered this morning in St Peter's Square to hear Francis proclaim "we declare and define Blessed John XXIII and John Paul II to be saints and we enroll them among the saints, decreeing that they are to be venerated as such by the whole church." Countless millions were watching live on television around the world. Even if that means nothing to you and me, it still means something to a hell of a lot of people. And while it wasn't specifically scheduled to coincide with the eve of Yom Hashoah, Israel's Holocaust Remembrance Day, it has a particular historical resonance for Jews everywhere since no two men did more than Roncalli and Wojtyla to reverse all those centuries of often murderous enmity of the church towards the Jewish people. True, the double canonization today is more about internal-Vatican politics and the Papacy's need to create heroes and role-models for its adherents than inter-religious relations, but put in a historical context, it is a victory for the Jews. 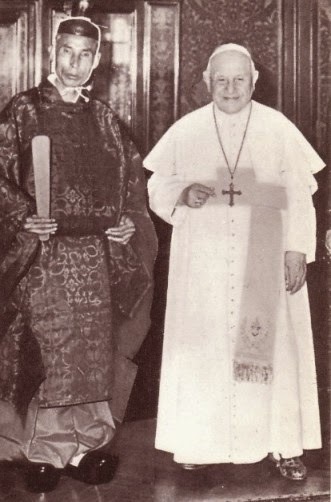 John XXIII in less than five years on the throne expunged anti-Semitic references from the liturgy (one of his first decisions) and convened the Second Vatican Council, at the start of which he commissioned the writing of the Nostra Aetate, the most important declaration to come from Vatican II which resolutely proclaimed that the Jews were in no way to be seen as responsible for Jesus' death. 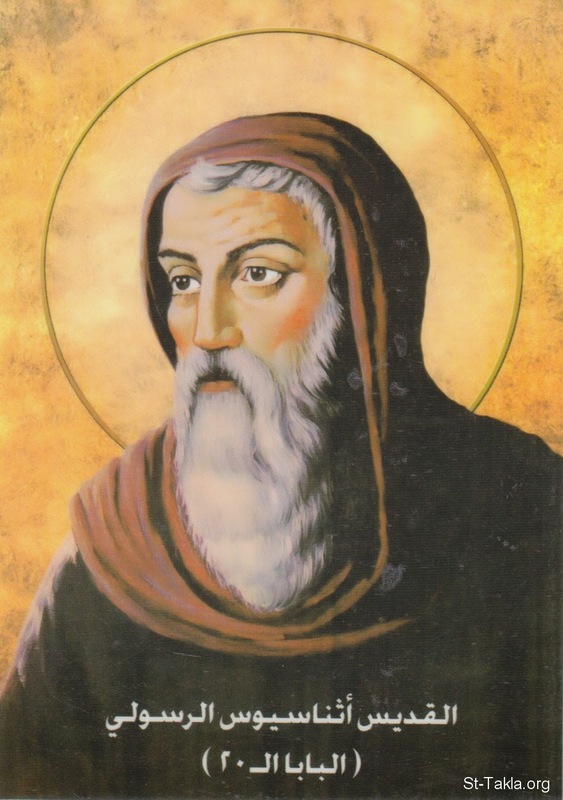 Though the Nostra Aetate was issued after his death, John was the man who through one document swept away the theological basis for nearly two thousand years of persecution. And while John Paul II has been accused by the more liberal elements in the church of reversing in some ways the Vatican II reforms, as far as regards the church's relationship with the Jews he took matters to another level altogether. In constant cooperation with often suspicious Jewish leaders, in being the first modern pope to visit a synagogue in Rome, in referring to the Jews as "our beloved elder brothers," authorizing full diplomatic ties with Israel and in his visit to Jerusalem, apologizing at the Western Wall for the suffering the church and its members had inflicted upon Jews. 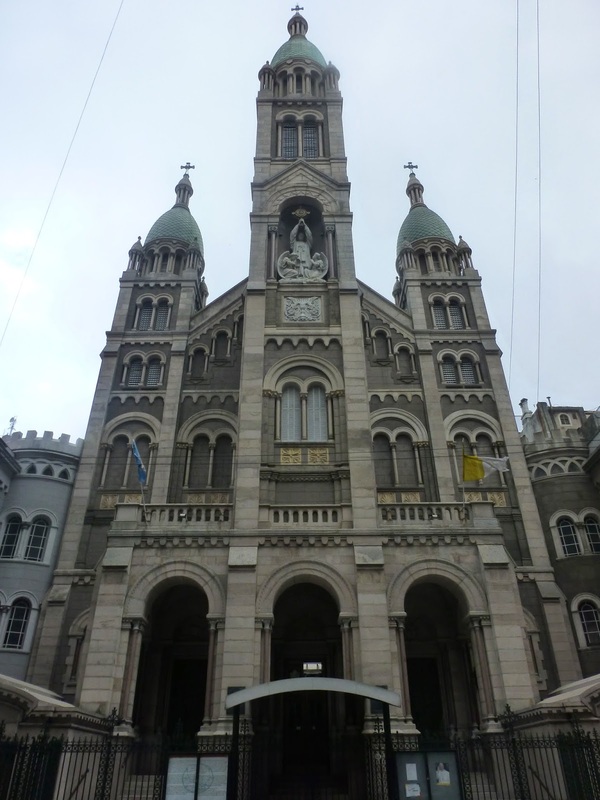 The church that Jorge Mario Bergoglio grew up in as a young man and priest in Argentina was certainly not free of anti-Semitism and other forms of racism, but it was by then a church where a man of his nature could preach against hatred with the knowledge that he had the backing of the two most important popes of his lifetime. Today, as Pope Francis, he continues their legacy. Another pope goes unmentioned today. The wartime record of Pius XII will continue to be debated for decades to come and despite the fact that many Jewish historians have exonerated him, even credited him with saving Jews in the Holocaust. And, of course, the current pope, like his predecessors, continue to honor his memory, but he will forever be remembered as the "Silent Pope." The Jews of Rome will never forgive what they see as his inaction over the deportation of thousands to the death camps from "his" city. The fact that the canonization of the younger popes John XXIII and John Paul has gone ahead so swiftly while that of Pius XII has been delayed again and again will not be lost. Unlike Eugenio Pacelli who hardly covered himself in glory during those dark years, his two successors were actively helping Jews in Nazi-occupied Europe. Wojtyla even took the risk as a young priest to overrule a Christian couple who wanted to bring up a Jewish orphan they had sheltered as a Catholic. Whatever they really think of Pius XII, it's clear that today's Curia is very aware of the affront his canonization would be to many Jews and are extremely reluctant to jeopardize the massive improvement in the relationship achieved since the days of John XXIII. 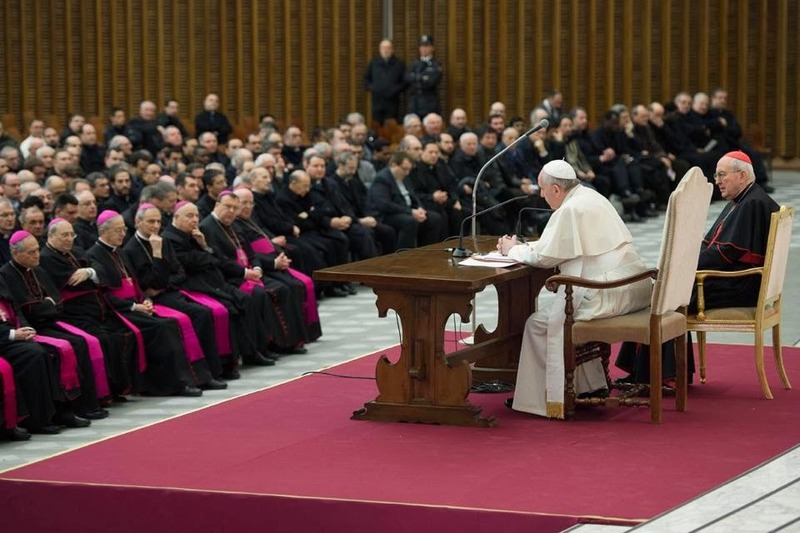 The theological change wrought in just fifty years by a series of popes (including Pope Emeritus Benedict XVI despite his PR failings) is without precedent in its speed and significance in theological history. Never has a religion so comprehensively changed its attitude to what was once seen as its worst enemy. It is due first of all to the success of countless generations of Jews to retain their faith and flourish despite the church-inspired and church-sponsored blood libels, forced conversions and pogroms, but also to these two extraordinary men being honored today in Rome. 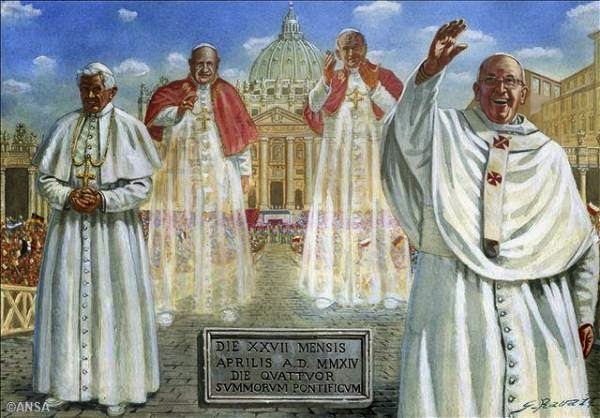 The canonization of John XXIII and John Paul II is a day of rejoice for Catholics and a historical victory for the Jewish people. And when they were come to the place which is called Calvary, they crucified him there; and the robbers, one on the right hand, and the other on the left. 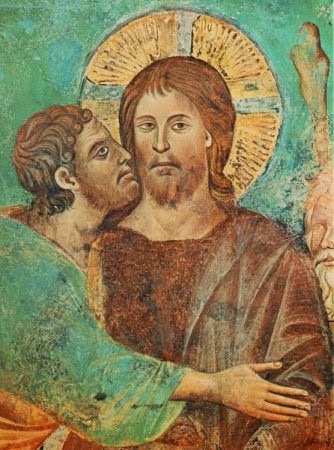 And Jesus said: Father, forgive them, for they know not what they do. But they, dividing his garments, cast lots. And the people stood beholding, and the rulers with them derided him, saying: He saved others; let him save himself, if he be Christ, the elect of God. And the soldiers also mocked him, coming to him, and offering him vinegar, And saying: If thou be the king of the Jews, save thyself. And there was also a superscription written over him in letters of Greek, and Latin, and Hebrew: THIS IS THE KING OF THE JEWS. And one of those robbers who were hanged, blasphemed him, saying: If thou be Christ, save thyself and us. But the other answering, rebuked him, saying: Neither dost thou fear God, seeing thou art condemned under the same condemnation? "May God console you! ... What saddens you ... is the fact that others have occupied the churches by violence, while during this time you are on the outside. It is a fact that they have the premises – but you have the Apostolic Faith. They can occupy our churches, but they are outside the true Faith. You remain outside the places of worship, but the Faith dwells within you. Let us consider: what is more important, the place or the Faith? The true Faith, obviously. Who has lost and who has won in the struggle – the one who keeps the premises or the one who keeps the Faith? Thus, the more violently they try to occupy the places of worship, the more they separate themselves from the Church. They claim that they represent the Church; but in reality, they are the ones who are expelling themselves from it and going astray. Even if Catholics faithful to Tradition are reduced to a handful, they are the ones who are the true Church of Jesus Christ." 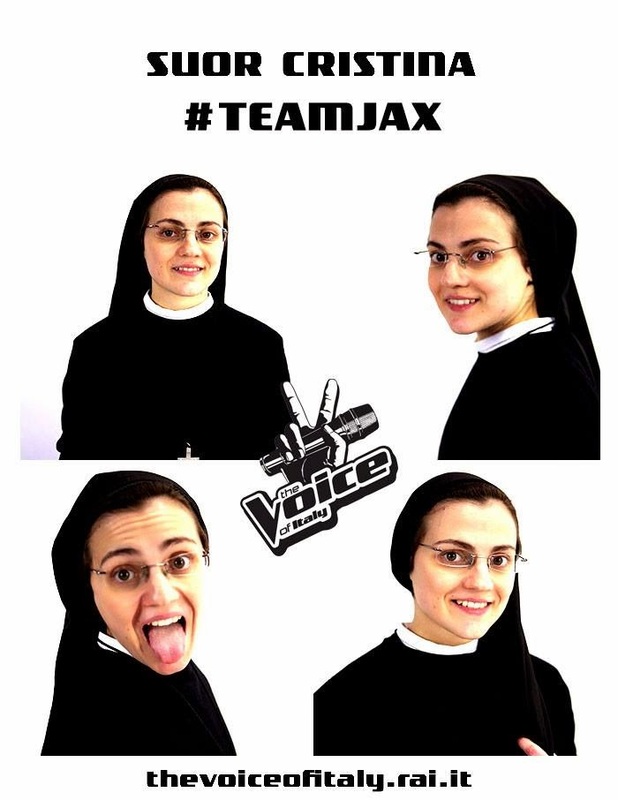 The secular world's favorite nun is back! This time she appeared on The Voice of Italy and sang the song, Hero by Mariah Carey. Her performance is below for those so inclined to watch it. 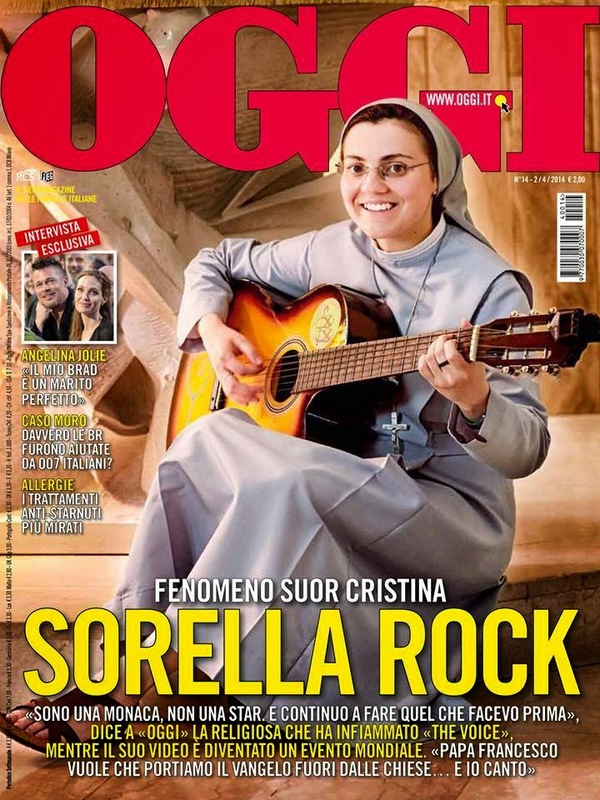 So how does the secular world perceive Suor Cristina & the Novus Ordo church after she shared her gift with it? The clip below is from The Ellen DeGeneres Show, which averages over 9 million television viewers a day. Ellen DeGeneres was born and raised as a Christian Scientist but left the religion at the age of 13. She is a famous comedian, is currently 'married' to her lesbian girlfriend Portia de Rossi, and is the host of The Ellen DeGeneres Show. 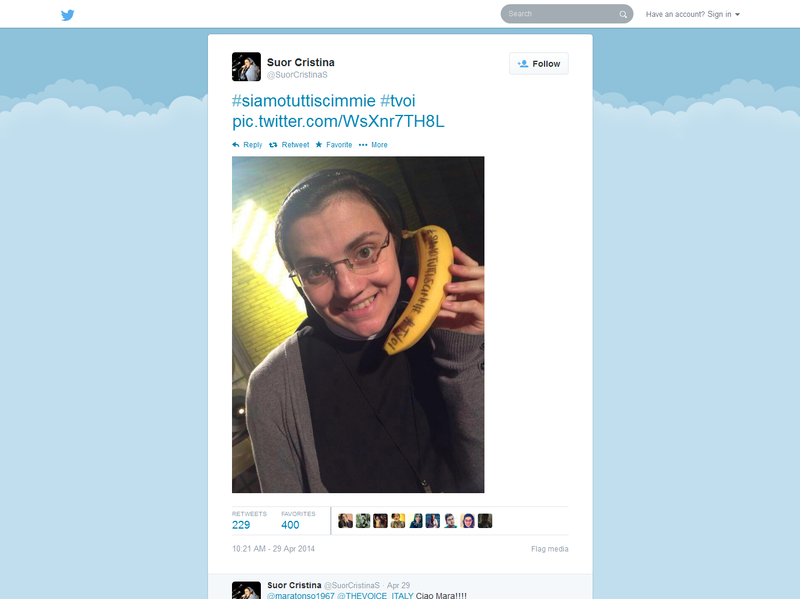 Suor Cristina's proselytisation is working so well the world is mocking nuns in full habit. 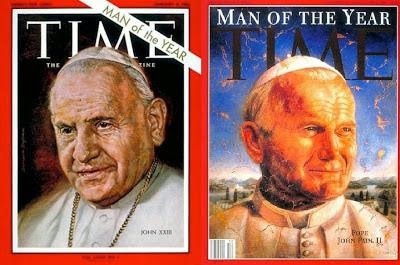 John XXIII & John Paul II are saintly to who? Ordinarily, Jews have little interest in whom the Roman Catholic Church canonizes as saints. Yet, on the Sunday after Easter, the day that coincides with Yom Ha-Shoah, the 27th of Nisan, two men, Pope John XXIII and Pope John Paul II, will be elevated to sainthood, and both of them bear notice. There is a paradox relating to the Holocaust that was first observed by Rabbi Yitz Greenberg: The innocent feel guilty, and the guilty feel innocent. The greatest strides in Catholic-Jewish relations in the entire two millennia of that relationship were made at the initiative of these two popes, who were innocent during the Shoah and yet who felt responsibility for the Holocaust. A word about Pope John XXIII: While serving as papal nuncio, a diplomatic post, in Istanbul, and known at the time as Archbishop Roncalli, he worked with the delegates of the Yishuv, the Jewish leadership in Palestine — pre-state Israel — to warn Hungarian Jews and to rescue those who could be rescued. He established direct communication with the Yishuv’s formal leaders in Turkey and even met with clandestine operatives. He did not, as was widely rumored, offer false baptismal certificates, but rather did something a bit more clever — he wrote letters indicating that the holder of the letter was a “co-religionist and fellow countryman of Jesus” and “should be entitled to Vatican protection.” Notice the language — “co-religionist and fellow countryman” is a reference to Jews. “Should be entitled to Vatican protection” does not mean that the holder is entitled to Vatican protection. It suggests a tone of aspiration rather than actual fact. He wrote to leaders in Bulgaria, where he had previously served, urging them to protect their Jews and directly to King Boris III, asking him not to deport Bulgarian Jews. Elected as an interim, caretaker pope after the long pontificate of Pope Pius XII, Pope John XXIII met with the French historian Jules Isaac and studied the history of anti-Semitism. He then took the bold initiative of calling the Second Vatican Council of 1962-65 (commonly known as Vatican II), bringing about, among its important initiatives, Nostra Aetate, which used the tools of Catholicism to revamp the Church’s teaching on the Jews. The Church then institutionalized that transformation by changing the Good Friday liturgy, as well as its scriptural reading. In essence, Vatican II taught what critical historical scholarship had established long ago — that Jews were not responsible for the Crucifixion of Christ, but, rather, the human propensity to sin was. If, as Christians believe, Christ died for our sins, if his death was a sacrificial atonement, then without human sin, there would be no need for such atonement. Furthermore, Good Friday liturgy eliminated the reference to perfidious Jews and the reading of Matthew 27, in which Jews are depicted as having accepted responsibility on themselves and their children for the Crucifixion. Teaching was combined with gesture, doctrine with human contact. Pope John XXIII stopped at the Great Synagogue of Rome and greeted its worshipers leaving Sabbath prayers, wishing them a “good Shabbat.” It was an unprecedented step for the bishop of Rome, the heir of St. Peter, to visit the Jews of Rome. It had simply never been done before. Thus, Pope John XXIII came to terms with 1,878 years of Jewish life — following the destruction of the Second Temple until the birth of Israel. Enter Pope John Paul II, who took the transformations initiated by Pope John XXIII, and sustained by Paul VI, another series of steps further. A word of biography is in order. John Paul II is probably the first pope who could truthfully say, “Some of my best friends are Jewish,” and mean it literally. Prior to becoming a priest, he was in direct contact with Jews; he knew them from the soccer fields, where he often played on the Jewish side when they were short a player, as well as while a university student and from the theater; one local Jew was among his closest friends and remained a friend throughout the pontiff’s long life. His friend even took an apartment in Rome to be near the pope, once he was elected. Yaffa Eliach documented in legendary form that while still a parish priest, Karol Józef Wojtyła refused to baptize Jewish children who had been saved by Roman Catholic Polish families when their parents were deported, unless the children were informed that their biological parents had been Jews. This was an act of singular integrity and, in fact, it was not quite in keeping with the instructions of the postwar Church that was interested in saving the souls of all people — including, perhaps even especially, Jewish children. It was also an act of courage, as his parishioners must have felt the conversation burdensome. If you trusted a neighbor and your child had a certain type of appearance, meaning that they did not look “too Jewish” and they were preverbal, Jewish parents about to be deported might ask a Polish family to take care of their child. The child could not be told that they were Jewish at the time, as the information, if repeated, would be lethal to the child and also to the family that was sheltering him. When and if the parents returned, the child might not remember them or even recognize them. Often the child had been treated with love, and responded in kind, embracing his or her adoptive parents, the only parents he or she had known, and feeling the biological parents to be strangers who had abandoned him or her. So even when the parents survived, the child often wanted to stay put. If the parents or a parent did not return after the war, it became dangerous to reveal to a child that they were Jewish, as this could lead to the surrogate parents being labeled as “Jew lovers” and to their ostracism. So such information was not easily revealed to a child, but Wojtyła insisted. 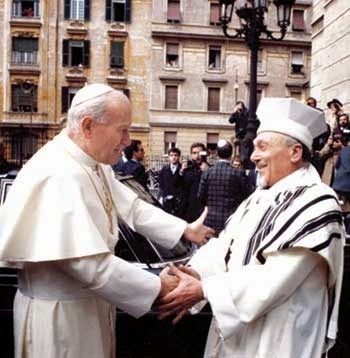 As pope, John Paul II visited the Roman synagogue and worshipped with the Jewish community. He treated the synagogue as a house of God, with all the respect due to such standing, and he treated the chief rabbi of Rome as a fellow religious leader. He established diplomatic relations with Israel and traveled there in 2000, visiting both Yad Vashem and the Western Wall. At Yad Vashem, he apologized for the anti-Semitism of Christians — not of Christianity — and made the all-important statement that anti-Semitism is anti-Christian. A man of the theater, he understood well that the media is the message, and that his words would echo throughout the Christian world. Although he did not say everything I would have liked him to have, what he did say was all-important, and the place from which he uttered these statements was even more symbolic. By visiting the Western Wall, the holiest site of Judaism, Pope John Paul II recognized the form that Judaism took after the destruction of the Second Temple in the year 70 C.E. He placed a prayer into the Wall, as is the custom of the devout. His visit to the office of the chief rabbinate, certainly not the most ecumenical of religious offices in the world, was also compelling. Prepared by Jewish history and memory, the rabbis expected polemics, great medieval disputations. Instead he greeted them as one religious leader to another. 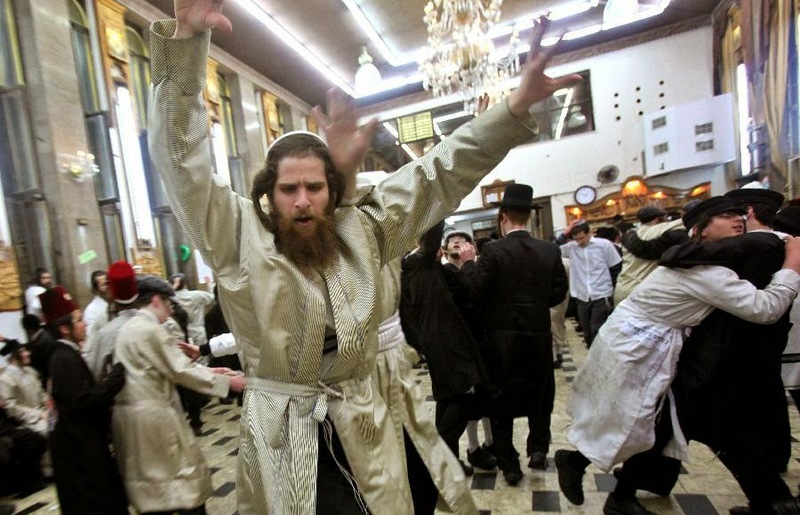 The rabbis were shocked at how moved they were by the pope’s visit. Not all problems were solved, not all issues were settled, but the result was tremendous progress and unprecedented warmth in Jewish-Roman Catholic relations. It is worth noting, as well, who was not elevated to sainthood this Yom HaShoah: Pope Pius XII, the wartime pontiff whose record during the Holocaust is, to say the least, controversial. Pope Francis’ predecessor, Pope Benedict, admired Pius XII for his piety and asceticism, and prior to stepping down had been moving along his candidacy for sainthood. There is another reason to celebrate Pope John XXIII and Pope John Paul II. I believe that the most urgent issue in interreligious life today is whether we can find within our religious traditions a way to accept the other, rather than to demonize the other. Can we use the tools of our own tradition to move beyond the notion of tolerance into acceptance of an underlying religious embrace of the other? Or must we resort to those parts of our tradition — each of our traditions, Jewish, Christian and Muslim — that demonize the other, that deny the other, that cannot recognize in the other one of God’s creation. I know of no issue more central to the world today, no other issue that could so likely determine our collective future, and I know of no religious leaders who have done more to show us the way than the two men who will be canonized as saints in the Roman Catholic tradition, Pope John XXIII and Pope John Paul II. We should note, as well, that Pope Francis has made yet another profound gesture by elevating these men. To me, their deeds were saintly. How long has the Pontiff been their man? By Ruth Gruber, Published April 25, 2014. (JTA) — Popes John Paul II and John XXIII are being declared saints of the Roman Catholic church on April 27, which is also the eve of Yom Hashoah, or Holocaust Remembrance Day. More than two decades earlier during World War II, as Cardinal Angelo Roncalli, the future pope had worked actively to save Jews, using his position as papal nuncio in Turkey to draw up false papers for Jewish refugees. “Jews will always remember Pope John XXIII as the animating force behind the Vatican II Council that changed the way Catholics looked at other faiths, especially Judaism. The Nostra Aetate document that ensued from it pulled the plug on centuries of theological anti-Semitism and put relationships between Christians and Jews on a new footing of mutual respect”, observed Rabbi Yitzchok Adlerstein, the Wiesenthal Center’s Director of Interfaith Affairs. John Paul II, who reigned from 1978 to 2005, made Catholic-Jewish reconciliation a cornerstone of his papacy. Born Karol Wojtyla in Wadowice, Poland in 1920, he grew up with Jewish friends and was an eyewitness to both the Holocaust and totalitarian communism. “John Paul II’s papacy built on John XXIII’s legacy in many ways, opening new horizons through a series of public gestures that made impacts across the globe,” said Lisa Palmieri-Billig, the AJC’s representative in Rome and liaison to the Holy See. In 1979, on his first trip back to Poland, he prayed at Auschwitz, and throughout his reign he repeatedly condemned anti-Semitism, commemorated the Holocaust, and met with Jewish leaders and laymen. His emotional pilgrimage to the Holy Land in 2000 left “the indelible picture of his sticking this prayer into a crack in the Western Wall,” Palmieri-Billig recounted. 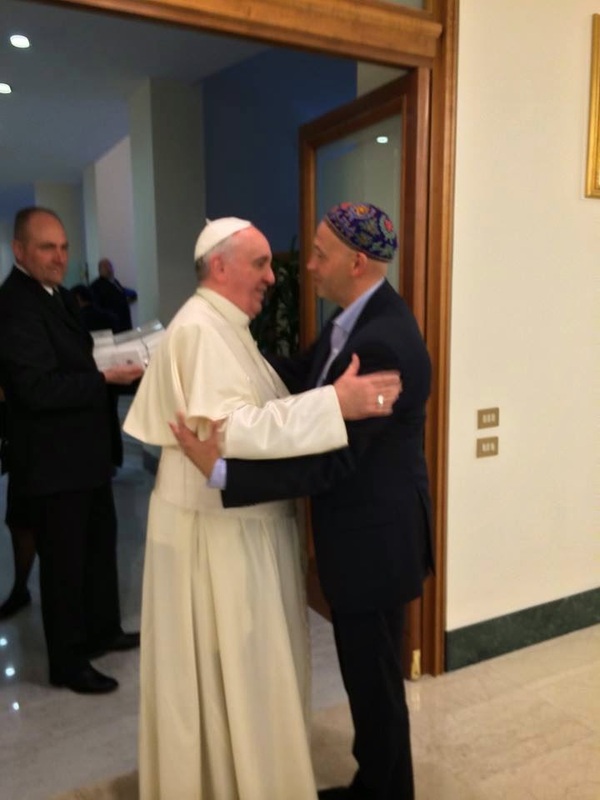 Rabbi Toaff of Rome, now 98, recently compared John Paul to one of the 36 righteous people who, according to Jewish mysticism, exist in every generation. The popes who followed John XXIII and John Paul have built on their legacy. Pope Francis, who had a close relationship with the Jewish community when archbishop of Buenos Aires, has demonstrated attention to Jewish issues since his election in February 2013 and will visit Israel, Jordan and the Palestinian territories in May. But some sticking points do linger. These include the issue of opening the Vatican’s World War II archives to clarify the wartime role of Pope Pius XII, whom critics accuse of failing to act to save Jews during the Holocaust. The greatest challenge, Bretton-Granatoor said, is to ensure that the changes wrought by John and John Paul resonate with coming generations of ordinary Catholics — not just the highest ranks of the Church. NEW YORK, April 23, 2014 /PRNewswire-USNewswire/ -- AJC congratulates the Catholic Church on the canonizations of Pope John XXIII and John Paul II. "We rejoice with our Catholic friends at this unique recognition being given to the two Popes who were also the ones most responsible for the dramatic revolution in Catholic-Jewish relations in our times," said Rabbi David Rosen, AJC's International Director of Interreligious Affairs. Rosen will attend the canonization ceremony in St. Peter's Square on April 27. "Thanks to their vision and leadership, the Catholic Church today affirms its unique profound rootedness in Judaism, promotes the closest of respectful relations with the Jewish people, and condemns anti-Semitism as a sin," Rosen said. "It is no exaggeration to say that in terms of the Christian-Jewish relationship, these great men took us from darkness to light; from pain to joy, and from alienation to brotherhood." Pope John XXIII convened the Second Vatican Council, which promulgated the document Nostra Aetate that ushered in the transformation in Catholic teaching regarding Jews, Judaism, and Israel. 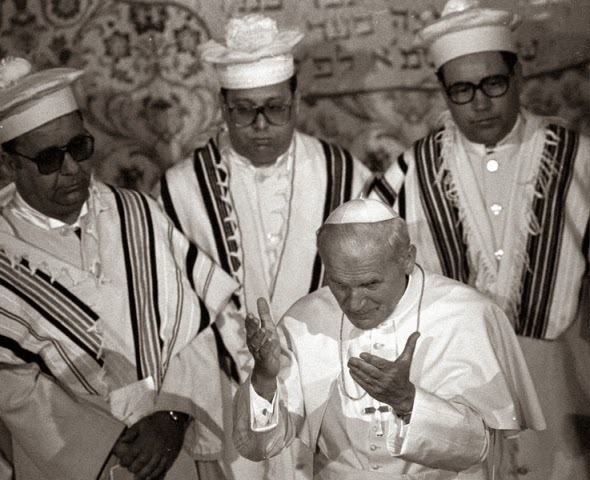 Pope John Paul II was the first pontiff to visit a synagogue and the State of Israel. On May 26, Pope Francis will follow in his predecessors' footsteps and be received in Israel by the country's political, religious and civic leadership. 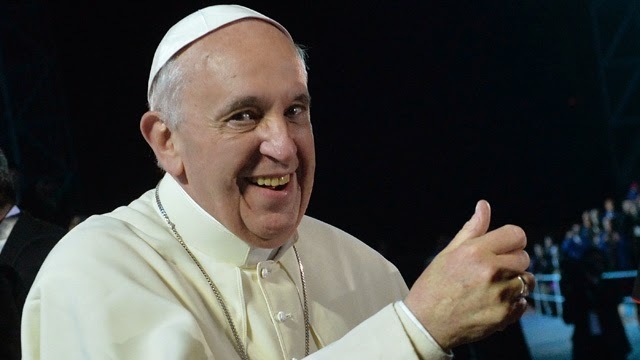 Pope of Holocaustianity to be Canonized Saint of Holocaustianity on High Holy Day of Holocaustianity, "Yom Hashoah"
Francis has named more saints in his short reign than John Paul II did during his entire pontificate. John Paul II named a little over 460 new saints during his reign but Francis has named 800 plus some already! Don't worry we here at Call Me Jorge... will give Benedict XVI an assist on most of these new saints as he started the process for them. We wonder if there is some sort of saint machine in the basement of the Vatican? Dear readers, we believe Francis should be a 'saint' and hope you will get the ball rolling by writing letters to the Congregation for the Causes of Saints. Proof of his 'miracles' follow. Mother Superior Martha Rabino said that Jorge was a “little devil” as a young boy but after being elected Pope his first ‘miracle’ happened. Moving slowly along school hallways due to arthritis in her feet, which forces her to walk around in slippers, Rabino remembered the joy of learning that Bergoglio had become pope. …"Now we have to pray for him more than ever," she said. "He is a gift to the church, a breath of fresh air, like opening the windows." John XXIII who convened the Second Vatican Council stated he did this in order to "open the windows of the Vatican and let in the fresh air." The Mother Superior is saying this needs to be done again. Where are the vocations and the renewal of faith which were to result from the Second Vatican Council? Truth is eternal and unchanging but revolution is the lie of the devil and is always temporary or changing. But we are digressing, on to Francis' second 'miracle'. So there you have dear readers not one, but two miracles of Francis. Get busy! Contact information for the Congregation for the Causes of Saints is below. If you don't send them a letter or fax them, then at the very least give the Congregation a telephone call! Patron 'Saint' of the selfie! "an ovation to the Hindu goddess Kali, the goddess of everlasting energy, and glorifies the strength of free expression in rock ‘n’ roll music. The Rolling Stones logo stands out from the rest of the rock band logos due to its mirth, uniqueness, and the way it brings out the emotions while listening to the music." 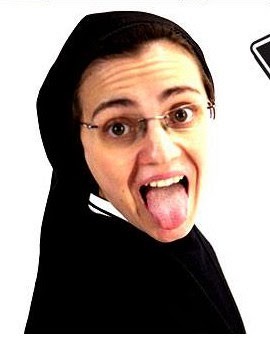 One can only speculate on why Suor Cristina posed for a promo photo giving the sign of Kali. 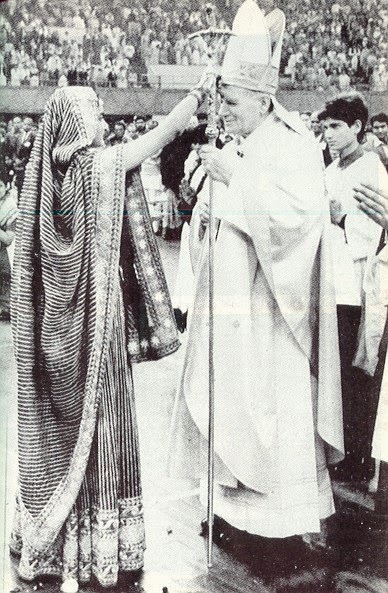 Could it be she has seen, the soon to be saint, John Paul II receiving the mark of Shiva and thought it would be OK? Or was she being cute imitating other rock 'n roll stars such as Beyonce and Miley Cyrus? Any way you spin it, is this the behavior of a religious? ruin in a thousand different ways." Continuing with the theme of the double canonizations soon to take place, we look at a press release from the Simon Wiesenthal Center, Newly Sainted Popes are Heroes to the Jewish People which showers the deceased men with accolades. 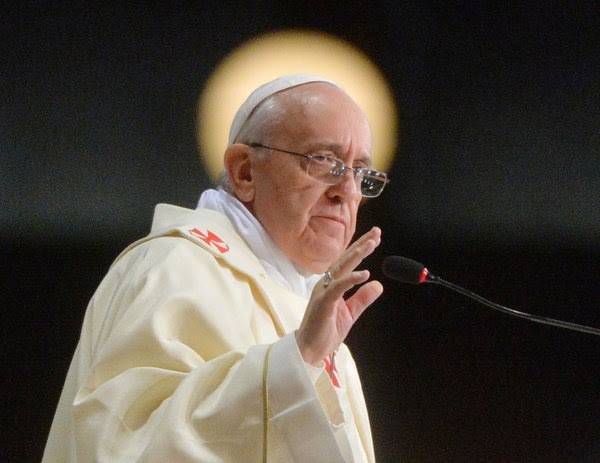 What will be said of Francis years after his death? The Simon Wiesenthal Center joins with Catholics around the world in acknowledging the remarkable contribution of the two Popes canonized this Easter Sunday. “Jews will always remember Pope John XXIII as the animating force behind the Vatican II Council that changed the way Catholics looked at other faiths, especially Judaism. The Nostra Aetate document that ensued from it pulled the plug on centuries of theological anti-Semitism and put relationships between Christians and Jews on a new footing of mutual respect,” observed Rabbi Yitzchok Adlerstein, the Wiesenthal Center’s Director of Interfaith Affairs. Labels: demographic crisis in Italy, Humane Vitae, Italian women decide against babies, John Paul II, Manuela Mesco, North African immigrants, Novus Ordo conservative, Vatican II, Who am I to judge? We want to take these days of reflection and celebration of Easter and Passover , to think of the meaning of redemption and freedom, which not only has to do with freedom from oppression, but that has to do with the creativity and responsibility of getting to our promised land. Passover is the holiday of freedom and starts as a covenant family celebration. A memory not only of the time when our ancestors left Egypt, but in that event, every generation and every one of us is released again and again from the Egypt where we live subjected. In this Easter, as Jewish and Christian-the Last Supper was none other than holding a seder of Passover, the traditional Jewish Passover meal, citizens are called to recognize us as a family, to share bread, drink the same wine and take our freedom responsibly: to answer for ourselves when we are addressed care about how we exercise, how to multiply freedom and bread; and about how we started to and share this blessing with those who are still oppressed by exclusion, hunger, lack of health and education. That Argentina, blessed in all that it offers, you can see on this Easter redemption of our Nation in the law of democracy and republic. 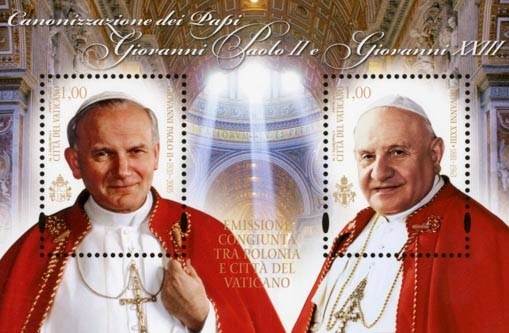 In just a few days Francis will declare two new saints, John XXIII & John Paul II. Dan Sheehan of The Morning Call, writes an interesting article, on how one Allentown church ended up with a soon to be 2nd class relic. Skullcap of soon-to-be St. Pope John XXIII is at St. Stephen of Hungary Church. As Christians around the world celebrate Easter — the faith's most important holiday, marking the resurrection of Christ — Catholics are looking ahead a week to another joyous event. 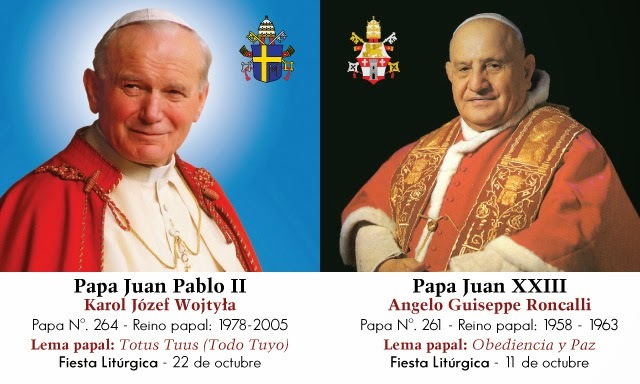 Next Sunday, two of the most popular and influential popes in church history, John XXIII and John Paul II, will become saints in the first-ever simultaneous canonization of pontiffs. While the festivities happen in Rome, people in the Lehigh Valley will be able to get close to one of the new saints, theologically speaking. 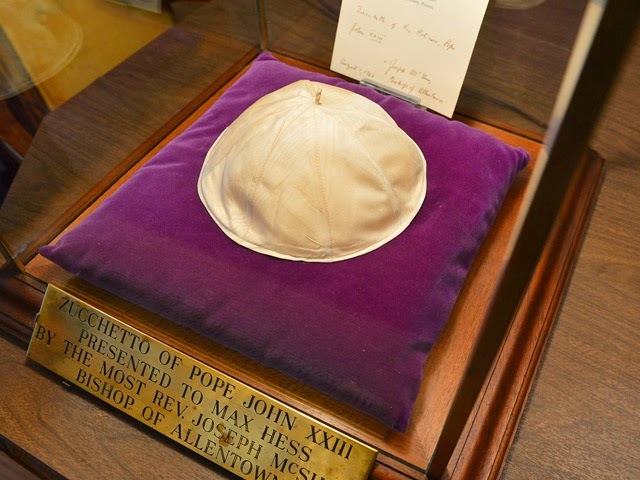 At St. Stephen of Hungary Church in Allentown, a zucchetto, or skullcap, worn by John XXIII will be on display near the sanctuary. How that came to pass is a story involving — naturally — Max Hess Jr., the department store king and publicity genius who probably made a bigger impact on Allentown than anyone but Harry Trexler. Hess was Jewish but had a close relationship to the Diocese of Allentown and its first bishop, Joseph McShea. He also was a major supporter of capital campaigns in the diocese, which had been created in 1961 out of the northern sections of the Archdiocese of Philadelphia. Hess' contributions helped with construction of a number of Catholic high schools and with Allentown College of St. Francis de Sales, now DeSales University. McShea was grateful. In 1963, he was in Rome for Vatican II, the council summoned by John XXIII that had opened the year before and would fundamentally change the church's relationship with the modern world. The bishop bought a zucchetto from the Vatican's tailor and traded it for the one the pope was wearing. It's not an uncommon practice — Pope Francis has swapped his zucchetto any number of times while greeting the faithful in St. Peter's Square. When McShea returned to Pennsylvania, he presented the skullcap as a gift to Hess. Hess's son, Tom, was a boy at the time but remembered the episode. "There was a picture in The Morning Call with my dad and the bishop near the escalators in the store," he said. "In the picture he was handing [the bishop] a check [for $25,000]. … I don't know how much time passed after that, but the bishop came back and gave him [the zucchetto] as a present." The Rev. William Seifert, pastor of St. Stephen's, said McShea's gift to Hess spoke volumes about the relationship between the two men. "The fact that he surrendered something from the founding pontiff of the diocese says something of the esteem he held for Max," Seifert said. Hess had an illuminated glass-and-bronze case built for the zucchetto and displayed it for several years. After selling the store to Philip Berman in 1968, he took home the zucchetto and case. When he died later that year, it passed to his son. Fast-forward to 1996, when Tom Hess converted to Catholicism and joined the National Coalition for Clergy and Laity, an organization founded in 1978 by a number of prominent Catholics. The group is now directed by Greg Lloyd of Whitehall Township. Lloyd's wife, Susie, a well-known Catholic author, was visiting the Hess' Allentown home one day and saw the zucchetto in the garage, where Tom had been keeping it while deciding on a proper place to display it. "I'd love to have something like that," Lloyd thought. Soon enough, she did. Hess donated the zucchetto to the coalition. The idea was to sell the piece to raise money for the organization, which runs on donations and, among many other things, conducts a large religious pilgrimage to upstate New York every year. The Lloyds never sold the zucchetto. It remained on display in their house. But when the Vatican announced that John XXIII would be canonized, they agreed to lend it to St. Stephen's. The church is the diocese's center for the traditional Latin Mass, which uses a missal promulgated by John XXIII in 1962. Seifert said the zucchetto, which will sit atop a pillar next to the statue of the Virgin Mary at the front of the church, is a second-class relic — an object worn or used by a saint. First-class relics are actual pieces of their bodies — teeth, hair, bone. 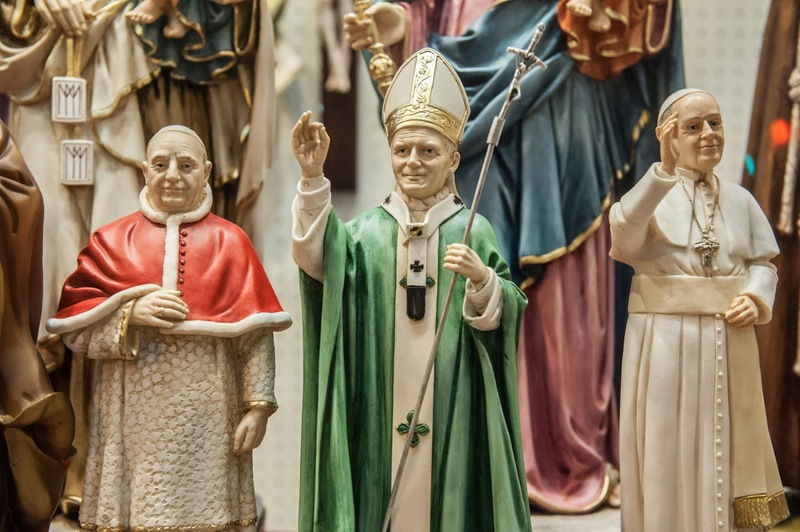 The church encourages the display of such objects as part of the veneration of saints, who are held to be models of Christian sanctity and virtue. Canonization is a formal declaration that the person has achieved heaven. "The purpose is to allow the faithful to know the person can be imitated," Greg Lloyd said. "If I follow this person, I will not be led away from Christ, but to Christ." Imitated, Seifert added, but not duplicated. For example, modern society would likely frown on the way St. Francis renounced his family wealth — by publicly stripping naked and presenting his clothing and other belongings to his father. The church has used different means over the centuries to bestow sainthood. Many of the early saints earned the title through martyrdom. But rules and standards evolved over the years. In the case of the two popes, some of these rules were altered. Church law normally requires that a person proposed for sainthood be credited with two miraculous interventions after death. John XXIII is only credited with one such miracle, but because of his reputation for virtue, Pope Francis waived the requirement of a second. Francis' predecessor, Pope Emeritus Benedict XVI, likewise waived the standard five-year waiting period to begin John Paul II's canonization process. John Paul, born Karol Wojtyla, had an epic pontificate. Elected in 1978 at age 58, the handsome and athletic Pole became the most widely traveled pope in history, drawing millions to his appearances in a reign that lasted nearly 27 years. 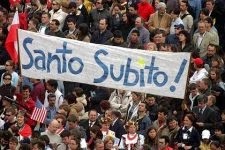 When he died in 2005, crowds in St. Peter's Square chanted "Santo Subito! ", meaning "Make him a saint now!" John XXIII was the good-humored son of Italian peasants. Born Angelo Roncalli, he was the fourth of 14 children. 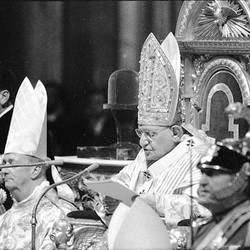 Because he was 76 at his election in 1958, he wasn't expected to accomplish much as pope, but his summoning of Vatican II led to significant and lasting changes in the church, especially in its relation to other faiths. Seifert said John XXIII was famous for his wit. When a reporter asked the pope how many people worked in the Vatican, he replied "About half of them." Known as "the Good Pope" because of his holiness and affability, John XXIII died of stomach cancer in 1963. He was beatified — the last step before canonization — by John Paul II in 2000. Seifert and Lloyd said the zucchetto is on loan to St. Stephen's for an undetermined period. It will be unveiled next Sunday, when the church will serve brunch from 9 to 11 a.m. and remain open until 4 p.m.
"Father Taborda remembers well that Easter evening 18 years ago. "We are there in the crypt beside the coffin of Father Aristi", recounts the priest, and I can still see the ascetic figure of Bergoglio, who was then very skinny. I remember he said: "He was my confessor, this rosary in his hand forgave many sinners (and) can not possibly go with him to the grave ..." '. And so, the future pope decided to take it (the crucifix) and ask the deceased Father Aristi for some mercy." Article below from the Associated Press reporter, Nicole Winfield, Pope reveals he took his late confessor's cross. VATICAN CITY (AP) — Pope Francis confessed Thursday that he took the rosary cross of his late confessor from his casket and wears it to this day in a fabric pouch under his cassock. He said he did so telling the late priest, "Give me half your mercy." Francis made the revelation Thursday during an informal chat with Roman priests about the need to be merciful to their flocks. He told the story of the "great confessor" of Buenos Aires who had heard confessions from most of the diocesan priests as well as from Pope John Paul II when he visited Argentina. When the priest died, Francis went to pray by his open casket and was stunned that no one had brought any flowers. "This man forgave the sins of all the priests of Buenos Aires, but not a single flower ...?" Francis recalled. So he went out and bought a bouquet of roses, and when he returned to arrange them around the casket, he saw the rosary the priest still held in his hand. "And immediately there came to mind the thief we all have inside ourselves and while I arranged the flowers I took the cross and with just a bit of force I removed it," he said, showing with his hands how he pulled the cross off the rosary. "And in that moment I looked at him and I said 'Give me half your mercy.'" Francis said he kept the cross in his shirt pocket for years, but that the cassock he wears now as pope doesn't have a pocket. He now keeps it in a little pouch underneath. "And whenever a bad thought comes to mind about someone, my hand goes here, always," he said, gesturing to his heart. "And I feel the grace, and that makes me feel better.". Another one from the you can't make this stuff up file. Francis back when he was Bishop Bergoglio stole a the Crucifix from the rosary of his confessor. It was in the crypt of the Basílica del Santísimo Sacramento de Buenos Aires so presumably there was a host in the building. This theft was committed not only on Easter Sunday but in the presence of Christ! Watch the video at the bottom of the page and see dear reader if Francis shows any remorse or contrition for his behavior. Rather, he presents his theft as an act of humility. He keeps this stolen Crucifix on his person tucked away and boasts about it with a hidden pride. This speaks volumes of his aversion of Our Lord's Crucifixion. Francis wears a pectoral cross which doesn't have a crucified Christ but instead has a representation of Him with a lamb. His favorite painting is The White Crucifixion by Marc Chagall which portrays Christ as a Talmudic Jew. He has used several croziers only one of which has a crucified Christ on it. The one which does is the grotesque Broken Cross and we have intentions of writing an entry on it in the future; not to mention, his blasphemous jokes about Our Lord's Crucifixions. While committing this theft Francis gives us another peak into his psyche. See dear reader, Francis was so distraught his confessor didn't have any flowers by his coffin he went out and brought some. This led him to see Fr. Aristi's rosary which he then proceeded to steal the Crucifix from while having the chutzpah to ask the deceased Fr. Aristi for half his mercy! Why didn't Francis instead get on his knees and say a rosary for Fr. Aristi's soul? St. Louis de Montfort writes every time a Hail Mary is recited a rose is offered to the Blessed Virgin Mary, presumably she would share a few with Fr. Aristi. No, instead we have Francis offering things of the earth, flowers, and stealing the thing of God, the crucifix, on Easter Sunday! Let this be a lesson, even when Francis has intentions of doing something kind, the result is sin. The overused expression certainly comes to mind, the road to hell is paved with good intentions. This is a mirror-like reflection of the fruits of the Novus Ordo Missae & Vatican II. Does the ends ever justify the means? According to the behavior of Francis it does! Is Francis blind to his own iniquities? This man could have had any relic, within reason, of any Saint he wanted. All he would have had to do was write Rome as Bishop Bergoglio. Instead he commits desecration to a corpse and sacrilege to God by his theft. Is it any wonder he has repressed what he sees as the Traditional Latin Mass? He smells the hint of sacrifice might still exist in the '62 Missal so he snuffs it out. Francis associates it with the old and being a modernist he wants new. He has been hanging out too much with his rabbinical buddies and is performing tikkun olam on the Novus Ordo church, in the style of a modernist. Again we couldn't in our most wildest imaginings make such a bizarre story up. It confounds our minds to think he is the Vicar of Christ! Better keep a close watch on your soul, else Francis might steal that too. People in the modern world often lament that God doesn't speak to them any more... well this is the equivalent of shouting from the rooftops for all to hear! He is a thief! Beware! Francis recounting his theft to Rome's priests. Hold on to your seats!!!! Francis gives a shout out to a heretic?